Dubai is the paradise destination between the deserts. Travel Mate Brings the exclusive Dubai tour packages for the travelers. Enjoy your holidays in the hub of tourism. Explore the beauty of Dubai with best Dubai tour packages from Karachi Pakistan. Our Dubai tour packages include best accommodation and site visits. 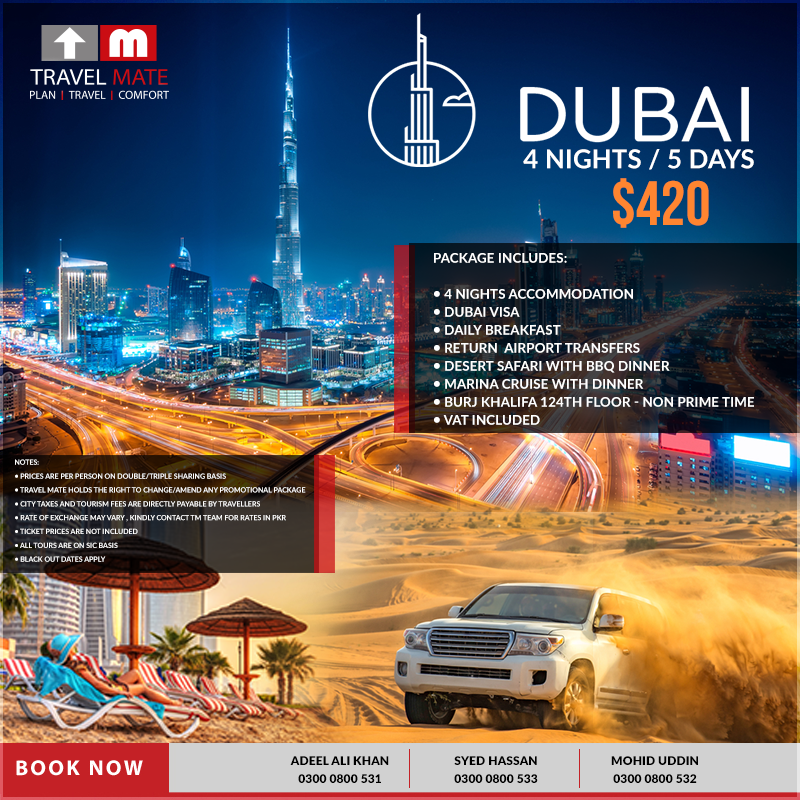 Dubai tour package with Desert Safari with BBQ Dinner, Marina Cruise with Dinner, Burj Khalifa 124th Floor & more. 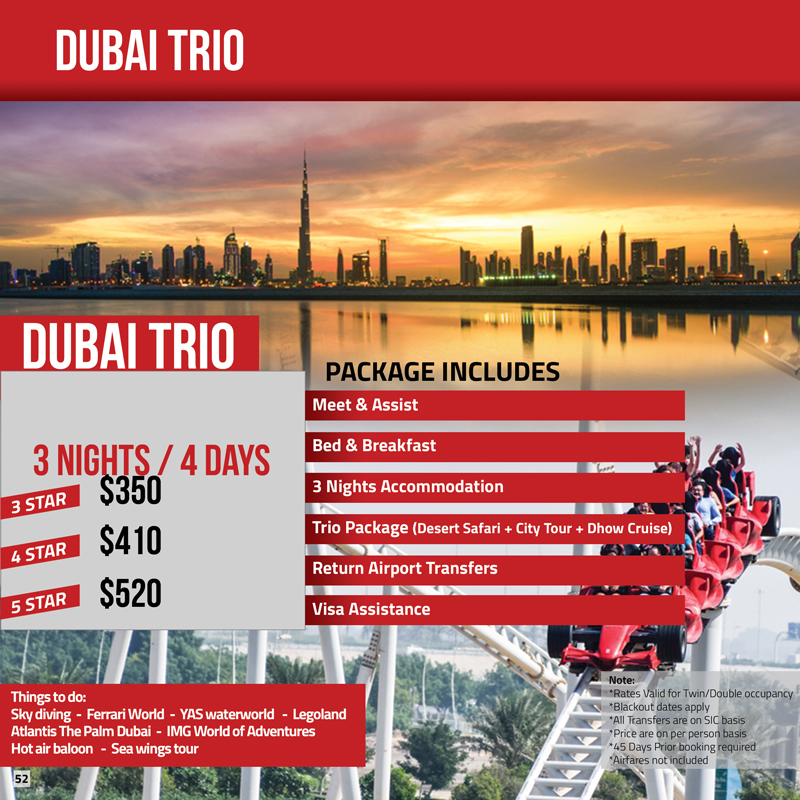 Dubai Trio Package (Desert Safari + City Tour + Dhow Cruise) & Accommodation. Dubai Tour Package with 4 nights of accommodation and breakfast and bed with city tours. Travel Mate offers 4 Days / 3 Nights Dubai Shopping Festival Packages having 3, 4, and 5 Star Accommodation. Book Now!